Perhaps it seems silly to get so excited over a salad, but when a recipe hits every nail on its proverbial head, like this goat cheese salad does, you want to share it with every leaf-loving friend. I used to have a thing against fruit in green salads, but saw the light when I first made my seared shrimp and strawberry salad. However, I’ve decided there’s one thing that’s absolutely necessary to make a fruity green salad successful. Acid! No, not the kind that seeps out your car battery. I haven’t completely lost the plot quite yet. Acids in cooking typically come in two forms. Vinegar and citrus. If you’ve ever added a splash of balsamic vinegar to a stew, you know what I mean. It immediately brightens up the flavors. 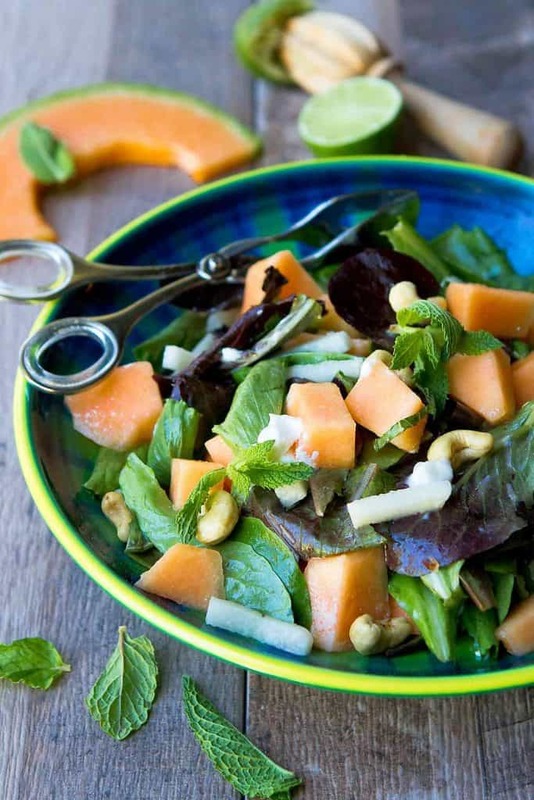 In the case of this green salad, lime juice adds a clean, crisp flavor to the sweetness of the cantaloupe and tanginess of the goat cheese. I used it as the base for the dressing, whisking it with olive oil, a touch of salt and agave, and fresh mint leaves. Herby, bright and delicious! For more help on becoming a master at making vinaigrettes, see How to Make a Vinaigrette. 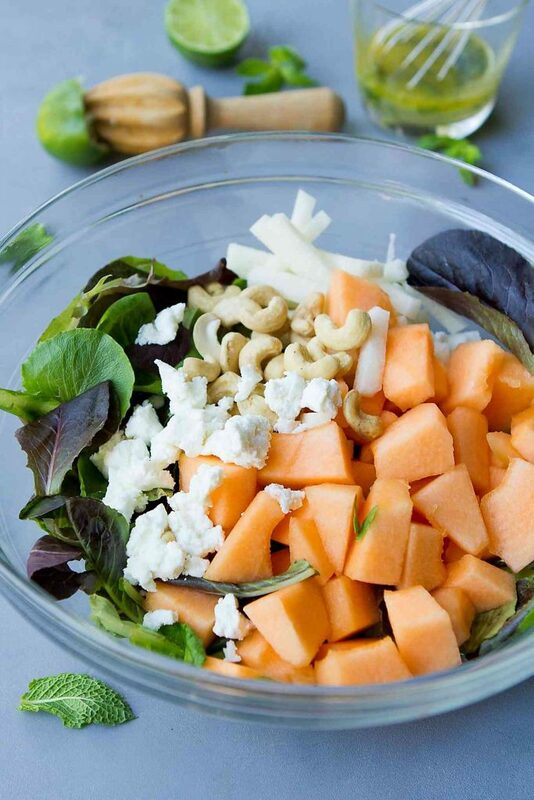 I wish I could say that the idea for this salad was all my own, but the inspiration of pairing cantaloupe and goat cheese in a green salad comes from the kitchen of one of our favorite Seattle brewpubs, Perihelion Brewery. We found it by chance and are now completely smitten with the atmosphere, the food and the beer! Last weekend, my husband and I had a hankering for an afternoon of good food and beer. Perihelion is about a 25 minute drive from out house, but that never stops us! The cantaloupe goat cheese salad was once of their specials for the day, though their version was tossed in a strawberry vinaigrette and featured the best nuts I’ve ever tasted. Seriously. The chef had got his hands on some pili nuts, which originate from the Phillippines. Being a pili nut virgin, I was immediately taken with their light, but buttery texture. They look a bit like Brazil nuts, but have a flavor like no other I’ve tasted. Officially obsessed! Since I didn’t have any pili nuts on hand, I used raw cashew nuts in this salad, but macadamia or Brazil nuts would also work well. 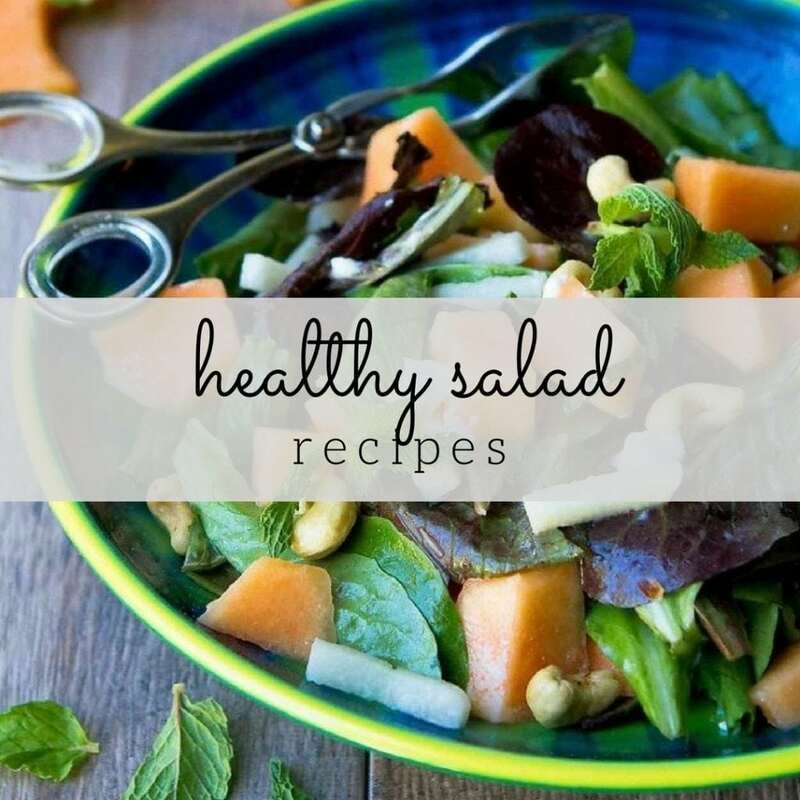 As with most green salads, be sure to toss it with the dressing immediately before serving so that the lettuce leaves are fresh and perky when served. 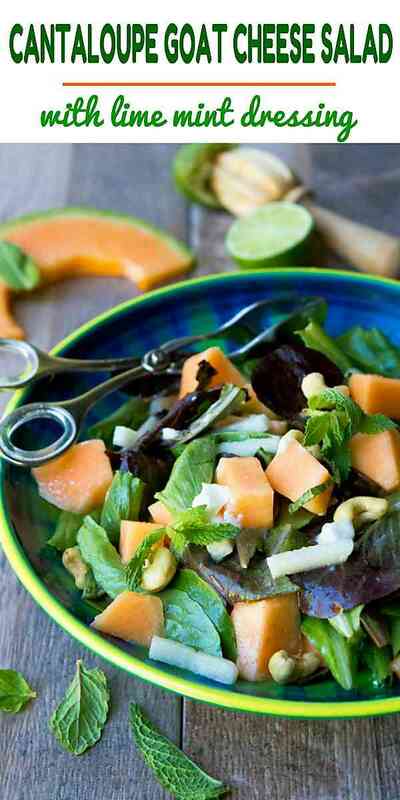 In a serving bowl, combine the lettuce, cantaloupe, jicama, cashews and goat cheese. In a small bowl, whisk together the lime juice, olive oil, agave nectar and salt. Stir in the mint leaves. Oh my goodness, I can almost taste this right now. 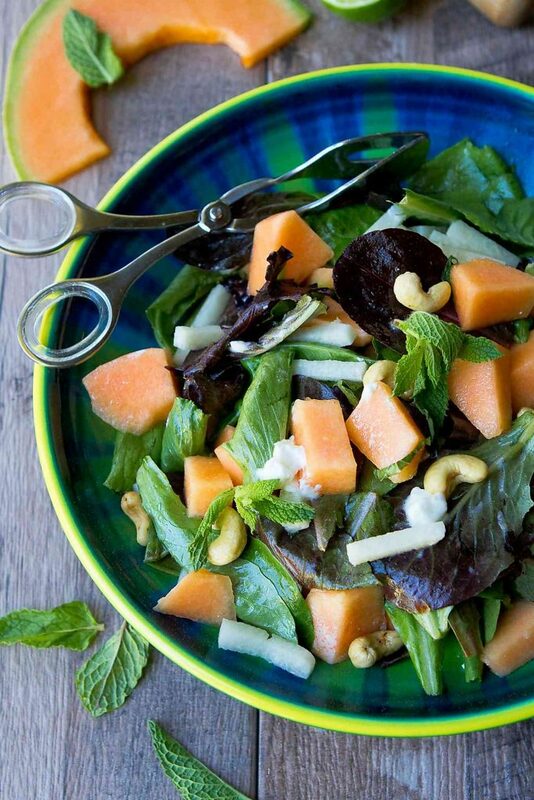 The tangy goat cheese with the sweet cantaloupe sounds amazing! And the crunch from the jicama? I’m all in. Oh my! I love everything about this. 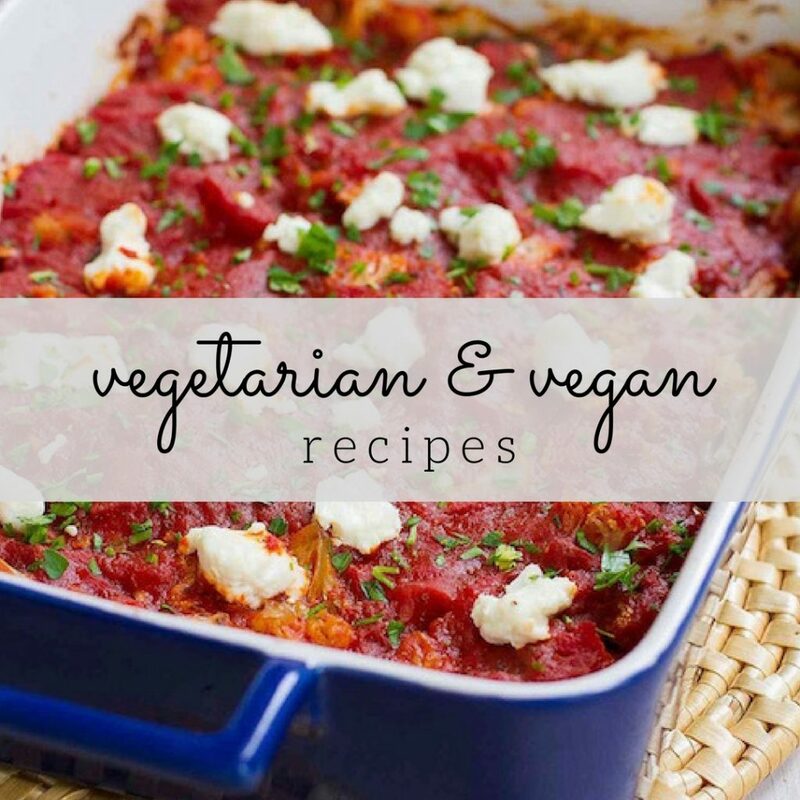 Especially goat cheese! Thanks for the shout-out for my salad! Just stunning! I love the jicama in the salad as well. YUM. What a refreshing salad! Cantaloupe has such a lovely sweet flavor! So much flavor in this refreshing salad! I love this fresh salad idea! 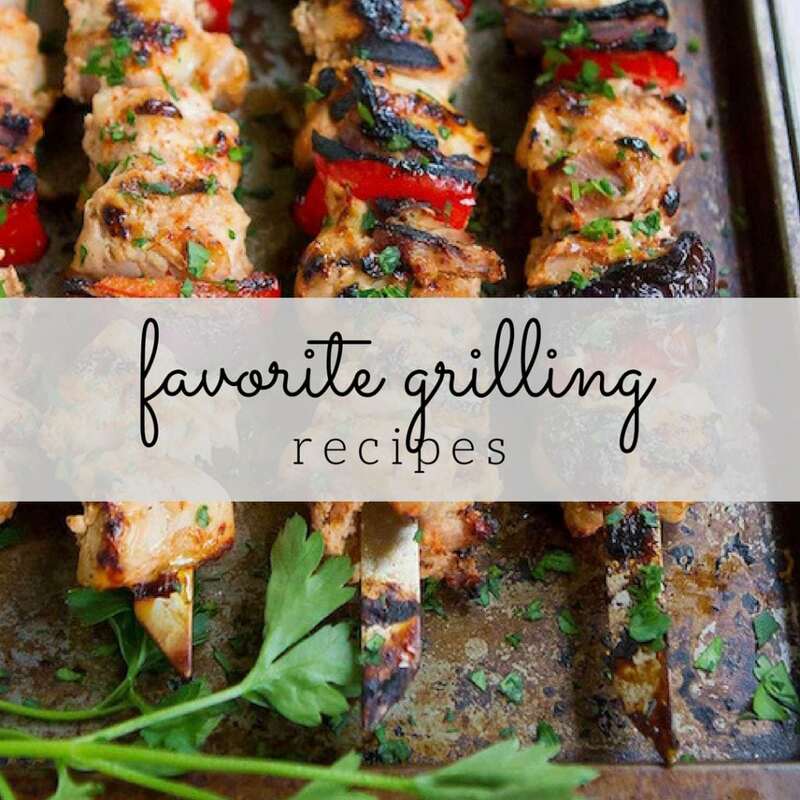 Great flavors and perfect for the summer! There isn’t a thing about this salad that I don’t LOVE! What a great balance of flavors!